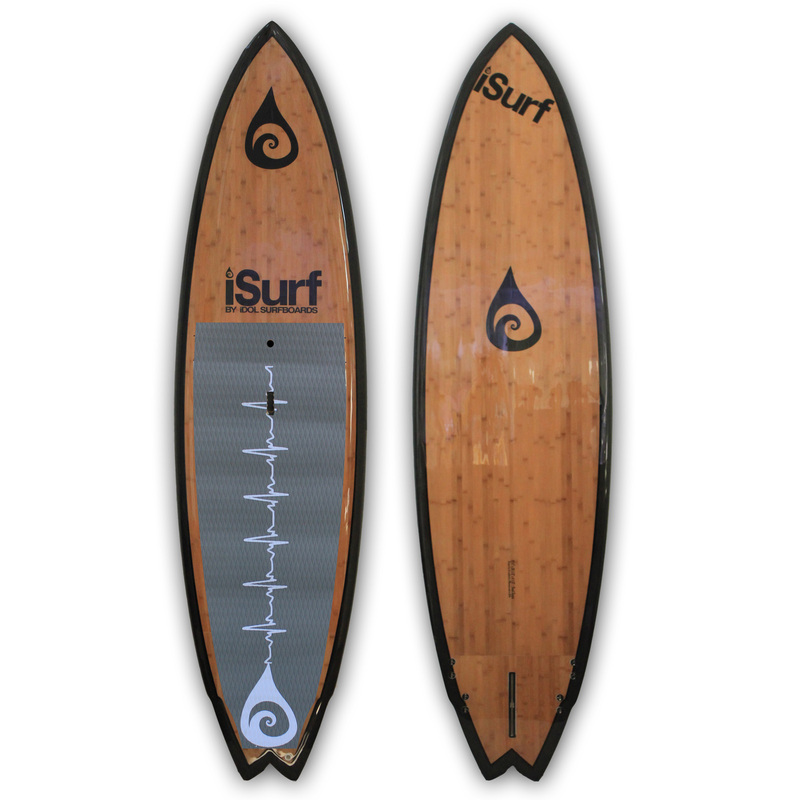 The iSurf 9’11” Fresh Surfer SUP is our smallest, most aggressive paddle board model. 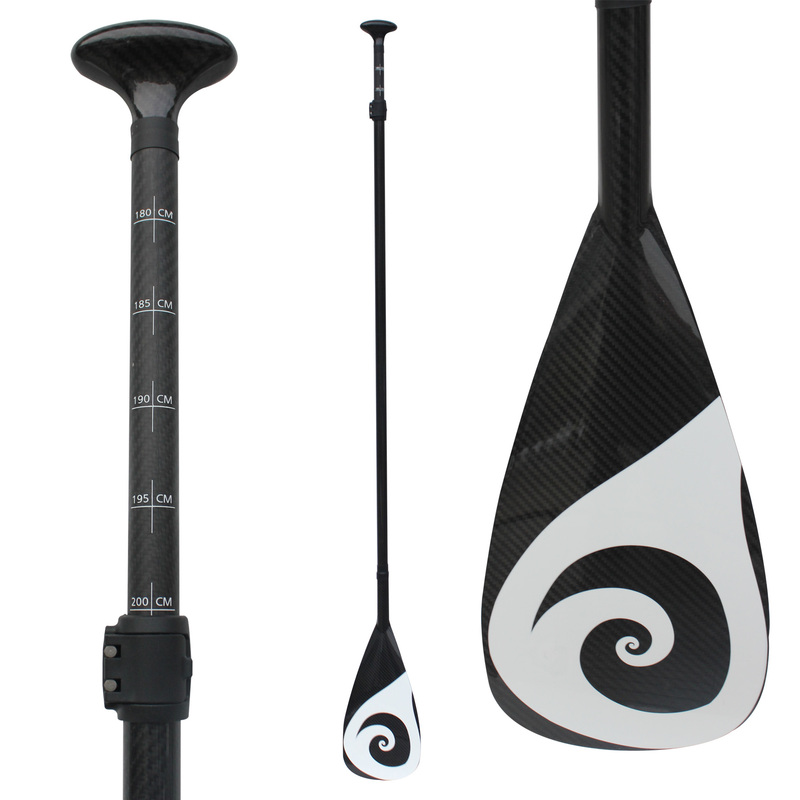 It can be used for SUP surfing or flat water paddling by smaller SUPers. 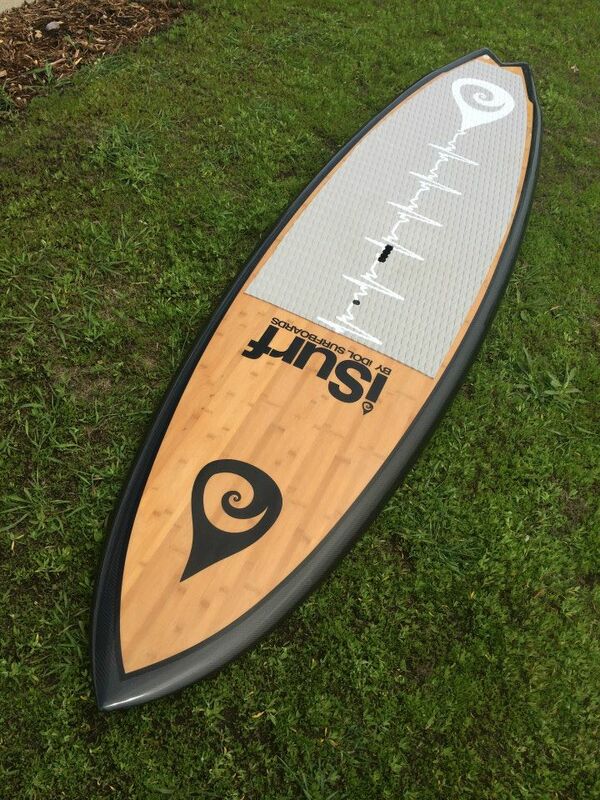 The iSurf Fresh Surfer paddle board design is two-fold: It’s designed for SUP surfing, and its a great flat-water SUP for smaller riders. Great for beginner/intermediate paddlers up to 130 pounds on flat water, and it can be surfed by intermediate/advanced SUP surfers to 200 pounds. This board features iDol’s acclaimed bamboo/carbon construction: Real bamboo (not veneer) on the deck and bottom with 6oz carbon fiber wrapped around the rails for added strength and stunning look. 5-fin option means you can use 3 fins for more stability and great tracking, or use 4 for a looser surfing feel. This board measures 9’11” in length and weighs only 23 pounds. By using carbon-fiber/bamboo construction, we are able to minimize weight and maximize durability. 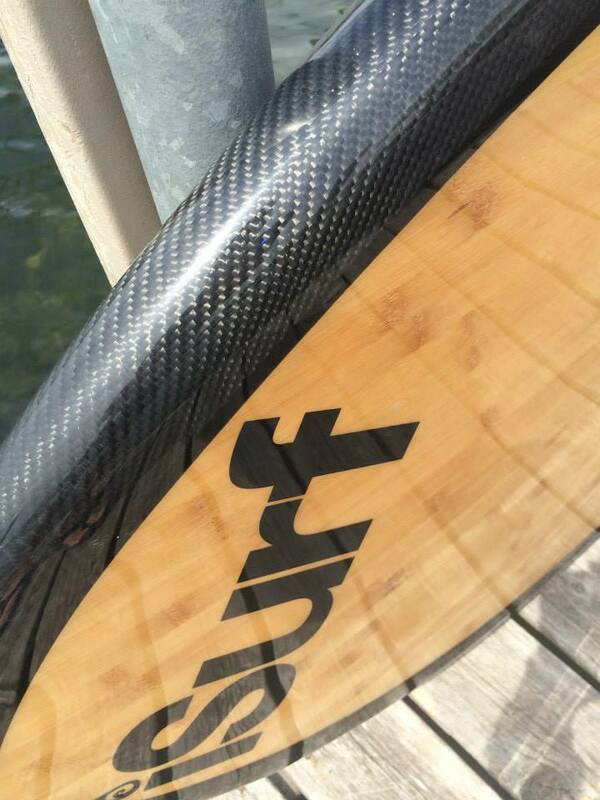 This board has and EPS foam core with resin-infused bamboo the deck and bottom, and carbon-fiber wrapping the rails. The result is one of the lightest and most durable constructions in surfboards. 9'11" x 31.5" x 4.5"
EPS, Epoxy, Bamboo, Carbon Fiber. 5-Fin FCS quads with 11 inch tracking fin.